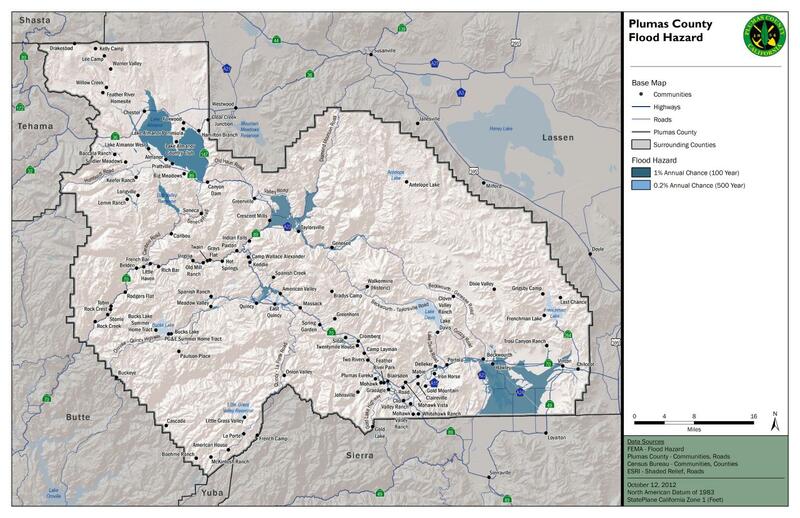 In accordance with FEMA requirements, this step of the Hazard Mitigation Plan (HMP) planning process identifies the natural hazards affecting Plumas County and assesses the vulnerability from the identified hazards. 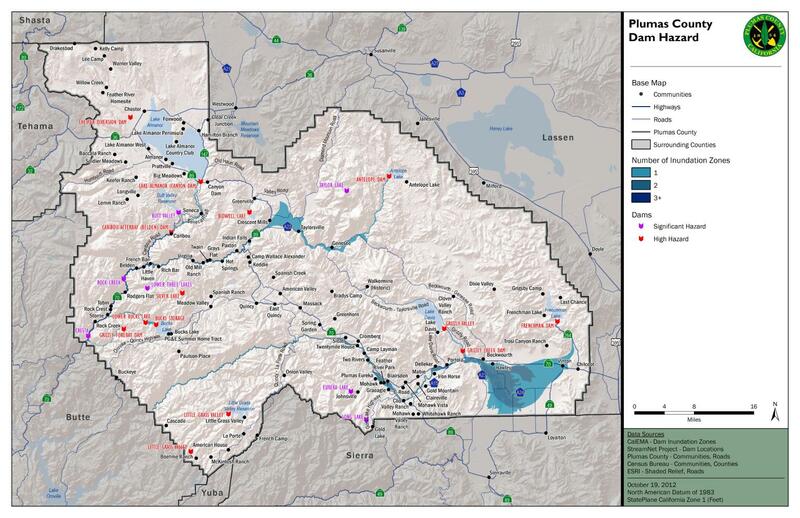 Results from this phase in the planning process will form the foundation for the subsequent mitigation actions for reducing risk and potential losses in Plumas County. As indicated in table below, large regional incidents have affected Plumas County. Most recently, severe fires were declared the County during the 2012 summer season, causing extensive damage. During the 2012 fire season Chips fire was first reported in Plumas National Forest on July 29, 2012, burning about 20 miles (32 kilometers) west of Quincy, California. By September 5, it had charred more than 75,000 acres (300 square kilometers). In addition to the Chips fire, the historic disaster declarations in table below provide a baseline for consideration in the hazard prioritization process. Emergency & Disaster Proclamations cost of damage is for total event. Event may be spread over multiple jurisdictions. 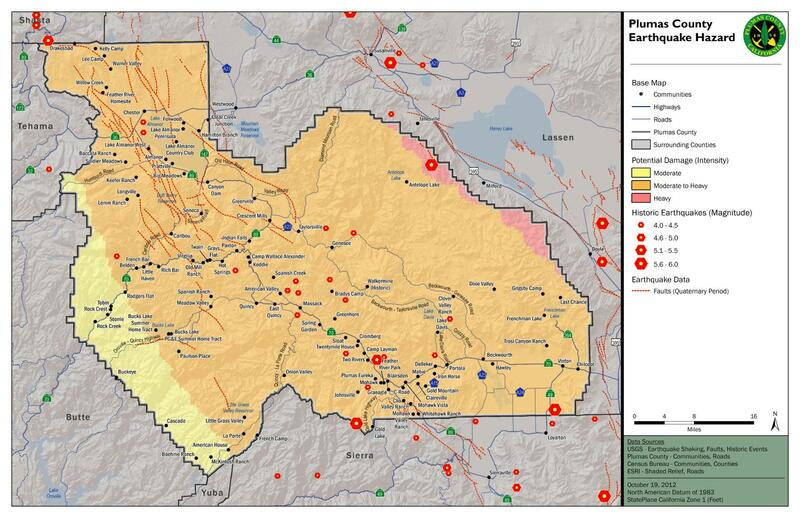 During the hazard profiling process we review and assessed existing plans, studies, other technical reports, and create hazard maps with newly acquired data and share them with stakeholders and the public to determine if the hazards identified in the 2006 Plumas County HMP are still valid. The HMP Planning Team will update the hazard profiles to reflect any new hazard events since 2006 and provide information in a FEMA preferred / required hazard profile format. Draft Hazard Profiles Coming Soon!! Included a series of data collection exercises to assemble necessary and required information. Minimized disruption and impacts to business process and resources. 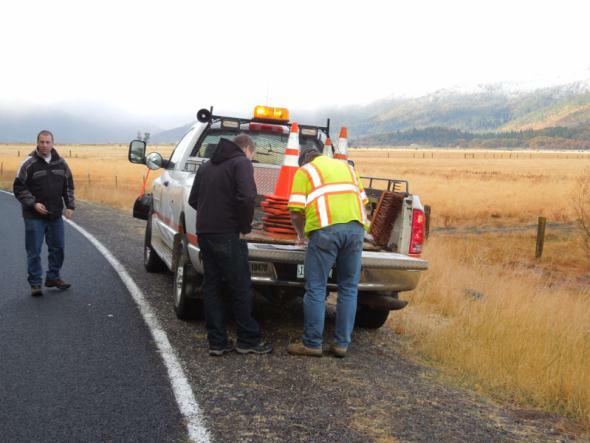 In order to appropriately capture the hazards and critical infrastructure throughout 2,600 Square Miles of area within Plumas County, the HMP Planning Team worked with county agencies and the public. The week period or “workshop” consisted of field work and a series of public open houses to provide information about local hazards within the County. During the October Workshop the HMP Planning Team worked with agencies in the field to identify hazards, critical infrastructure and successful mitigation actions by “ground truthing” areas prone to natural disasters. During this period the HMP Planning Team worked with each Public Works District to capture historic damage to roads and other community infrastructure and assets. Thank you Beckworth, Greenville, Quincy, Chester and Portola Roads Department!!!!! 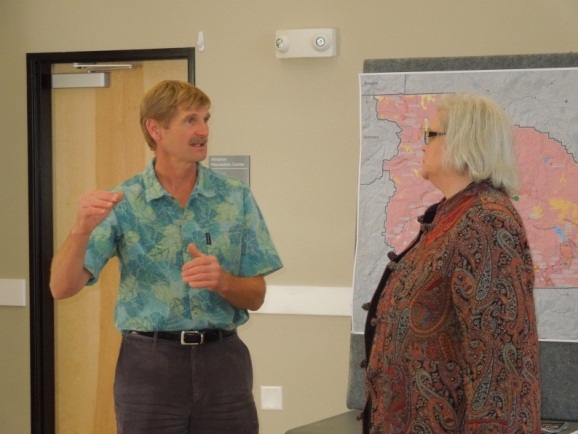 During the October Workshops, we “opened the house” to the public showcasing the hazard profiling process and the data we collected during four distinct open houses in Portola, Greenville, Quincy, and Lake Almanor. 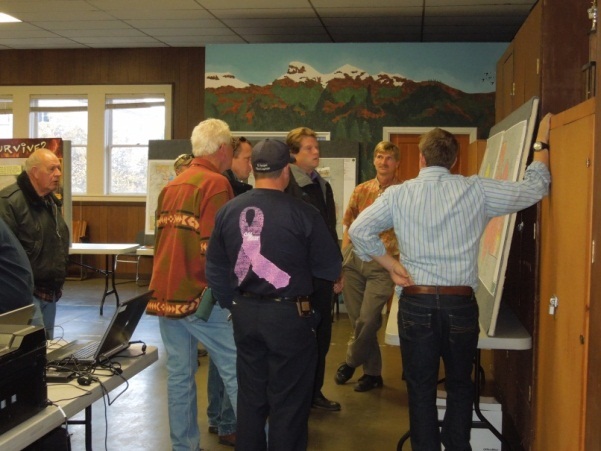 The Open House provided opportunities for the public and county agencies to interact with county and other project staff, as well as provide there story about the hazard. As part of this process we asked interested citizens to provide information and pictures of local hazards. 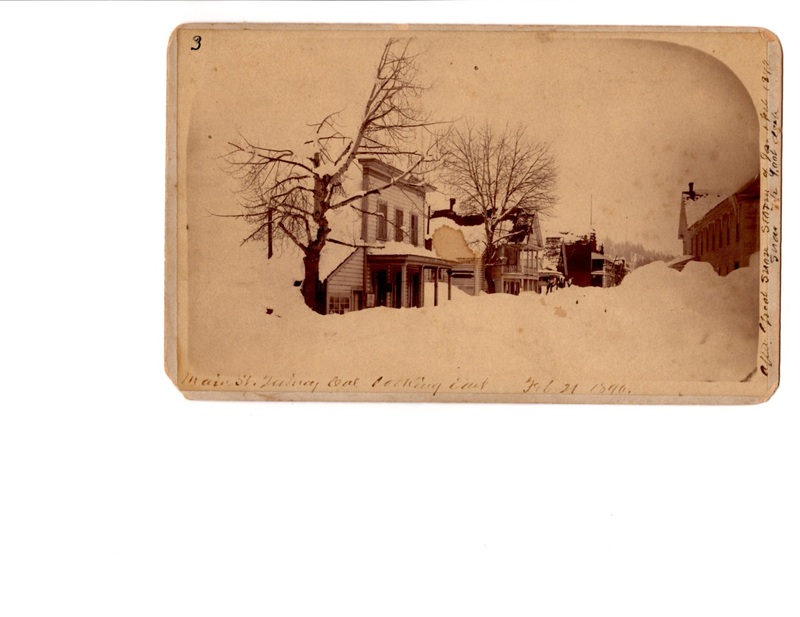 We collected tons of historic natural hazard event photos, thanks to the Quincy History Museum, Public Works and the Public!!! 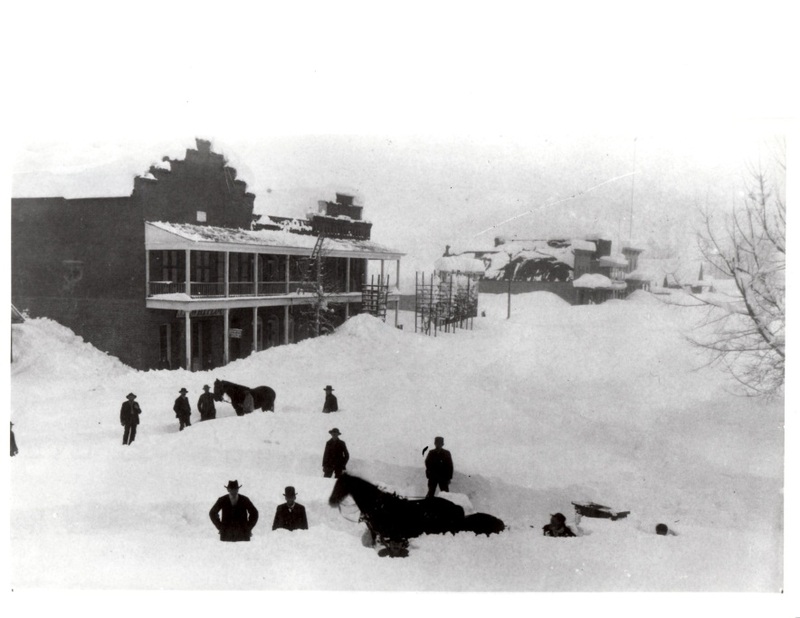 More Historic Hazard Photos Available here! The HMP Planning team has capture location-based hazard data where possible in a Geographic Information System (GIS) database compatible with the county GIS systems. 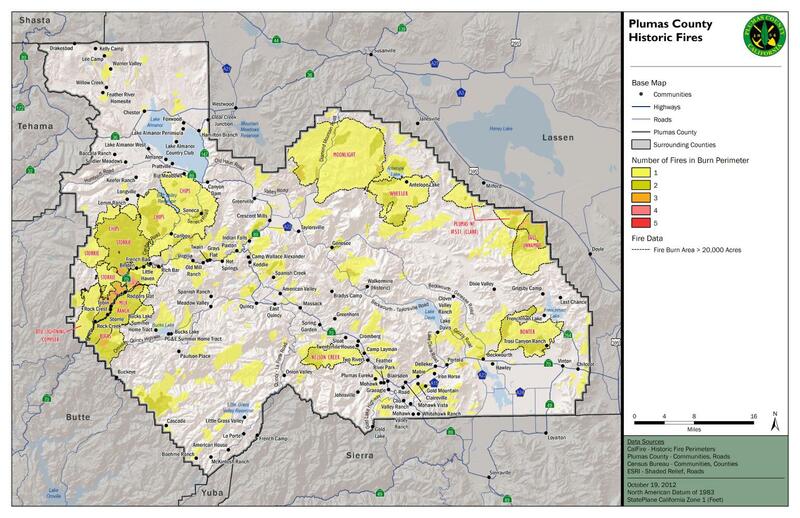 The location base data ensures that current and newly created data that will illustrate location, extent, severity, and other information for hazards located in Plumas County. During the Hazard Identification and Profiling Workshop, the HMP Planning Team presented hazard maps during open houses. The hazard maps will support narratives, and information sharing about the extent and magnitude of the hazards of interest. Hazard profiling exposes the unique characteristics of individual hazards and begins the process of determining “who” and “what” is susceptible to a specific hazard within Plumas County. Under the Risk Assessment step the HMP Planning Team develops a comprehensive asset inventory to assess vulnerability from identified hazards. Results from this step will form the foundation for the subsequent identification of the appropriate mitigation actions for reducing losses associated with known hazards. The HMP Planning Team will compile all available population and asset data from the county and external sources to produce a comprehensive dataset that will be used to assess vulnerability within the county. An example of a valuable asset data are locations of licensed tower transmitters – critical towers may be susceptible to wildfire resulting in communications being severed during an extreme wildfire event. The vulnerability analysis will include a general description of the population and infrastructure affected by each hazard. Impacts to assets are usually represented by measures such as population at risk, percent damage, number of vulnerable structures, and potential dollar loss estimation.